Welcome to the World of Waterfalls FAQ (Frequently Asked Questions)! 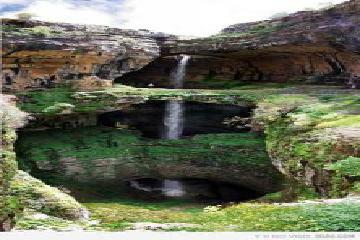 Here, we present the most commonly asked questions about the topic of waterfalls as well as provide answers to them. Scroll down this page to see these questions and answers. If you can’t find your question, then feel free to post your question at the bottom of this page. You can also find other questions and answers that people have posed. Perhaps someone else has already asked your question down below. 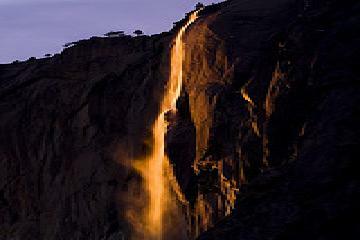 Q: What is the tallest waterfall in the world? A: While there maybe differing conventions on what constitutes a waterfall possibly resulting in different answers to this question, the current consensus for the title of tallest waterfall in the world is Angel Falls in Venezuela. 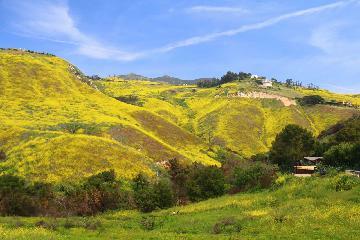 It is said to have a total drop of about 979m (or 3230ft) with a freefall of 807m (or 2647ft). Q: What is the largest (or biggest) waterfall in the world? If we’re talking about the largest singular waterfall in the world, that could very well be Victoria Falls on the Zambia/Zimbabwe border in Africa. It’s a massive sheet of water spanning a whopping 1.7km (a little over a mile) in width, 108m (360ft) tall in height, and having an average annual flow of 1088 cubic meters/sec (38,430 cubic ft/sec). If we’re talking about the largest falls including all its constituents, that could very well be Iguazu Falls on the Argentina/Brazil border in South America. Over its 275-plus distinct cascades and waterfalls that comprise the larger system of waterfalls, its rim spans 2.7km to 3.2km (depending on who’s figures you believe) in width, 64m (210ft) to 82m (269ft) in height, and an average cumulative annual flow of 1746 cubic meters/sec (61,600 cubic ft/sec). Note that I’m noncommital about giving a definite answer because the answer to this question could change with differing criteria on what makes a waterfall legitimate, what is your criteria of “the biggest”, and even manmade interference that might alter the waterfall’s status and health. Q: What is the most beautiful waterfall in the world? A: I’m certain there will be disagreements regardless of how this question is answered because it’s completely subjective and related to one’s own experiences and exposure to the waterfall in question. But if you want to know our opinion, we think Iguazu Falls is the most beautiful as it tops our Top 10 Best Waterfalls List. Of course, there are many other waterfalls that we think are just as beautiful as those on our Top 10 List for one reason or another. For example, we have regional top 10 lists to try to acknowledge other beautiful waterfalls in particular regions we’ve been to. Q: How are waterfalls formed? 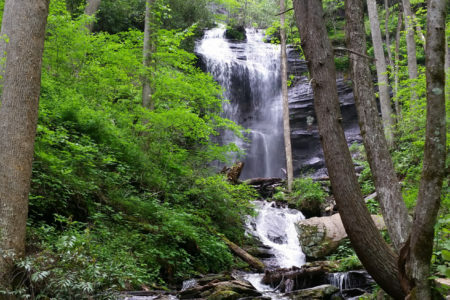 A: Waterfalls are formed through a combination of geology and weather/climate. I wrote an article going into details about the process of waterfall formation, which you can read here. 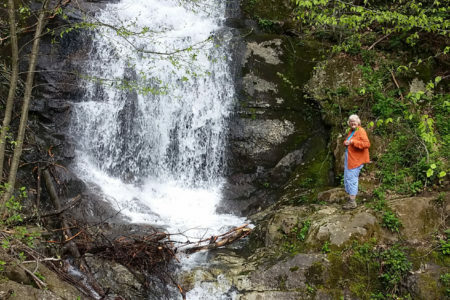 Q: How do I determine a waterfall’s height? A: There are several methods in which you can estimate or measure a waterfall’s vertical height. I wrote an article going into the various methods about this topic, which you can read here. Q: What types of waterfalls are there? 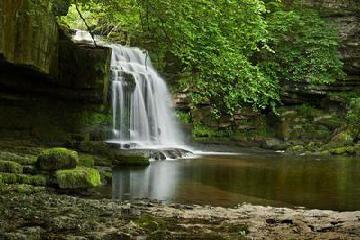 A: There are various ways to categorize or classify waterfalls. The two that I’m aware of have to do with identifying a waterfall’s shape and determining the volume of water present in the waterfall itself. The shape-based method results in categories like plunge, horsetail, fan, punchbowl, segmented, tiered, cascade, block, etc. Meanwhile, the volume-based method results in a logarithmic scale (like the Richter scale for earthquakes) resulting in Classes 1-10 developed by Richard H. Beisel, Jr. I wrote an article that discusses these classifications, which you can read here. Q: Why are waterfalls important? A: The answer to this question contains some degree of subjectiveness. However, there are some proven scientific benefits as well as applications for both energy and home improvement among others. I wrote an article addressing this question, which you can read here. I also wrote an earlier article about what waterfalls mean to us personally and why we care, which you can read about here. Q: What is the most unusual waterfall in the world? A: Of the waterfalls we’ve been to, we think Waterwheel Falls and LeConte Falls on the Tuolumne River in Yosemite National Park, California get our vote. The reason why is because they’re the only waterfalls we know about where you care more about how far the water is thrown up instead of dropping down! Q: What is the most powerful waterfall in the world? A: This really depends on what you mean by “powerful.” Now before I go into some technicalities, the popular answer is undoubtedly the big three simply because they’re the biggest legitimate waterfalls left on earth: Iguazu Falls, Niagara Falls, and Victoria Falls. But let’s break down what it means for something to be “powerful.” I can think of two interpretations. 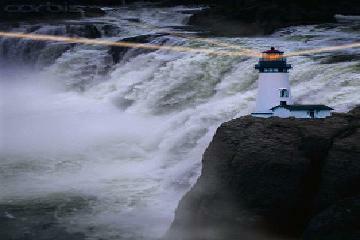 First, you can talk about power in terms of the amount of force the waterfall exerts. So if you can imagine yourself at the base of a particular waterfall, how much is the waterfall going to crush you? More accurately, how much volume of water is in the waterfall and how fast is that volume of water moving? Given this criteria, you could argue the most powerful waterfalls in the world could be between the Horseshoe Falls portion of Niagara Falls or the Devil’s Throat portion of Iguassu Falls. Why? Because those are the parts of the waterfalls where there’s the most volume falling vertically a pretty significant distance (thus picking up a good amount of speed thanks to the pull of gravity). On the other hand, you can also talk about power in terms of the amount of pressure the water in the waterfall is being subjected to as it’s moving or being ejected. 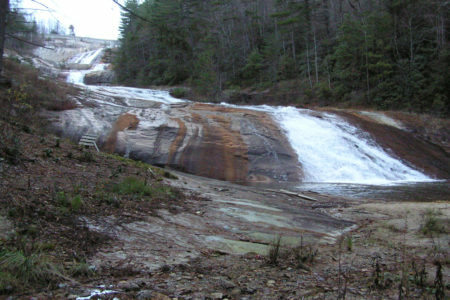 Under this criteria, waterfalls in the chute category are favored because water tends to be forced into a narrow channel thereby increasing the pressure that the waterfall is subjected to. 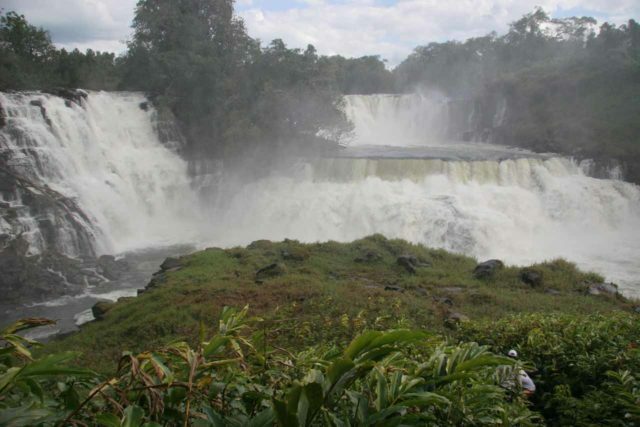 Therefore under this criteria, the world’s most powerful waterfall could very well be Murchison Falls in Uganda because the Nile River is squeezed into a crevace only 6m wide at its base. Therefore, you have an extremely pressurized ejection of water with perhaps even more force than that of the Big Three. Q: What are the most famous waterfalls in the world? A: This is not an easy question to answer because what’s popular to some people may be obscure to others. So we’re going to answer this question based on what we think are the most visited. Granted this is more biased towards waterfalls with the easiest access from heavily populated areas, but isn’t quantity of “votes” (i.e. visitation) in the spirit of what it means to be famous in the first place? Niagara Falls – the most famous waterfall in the USA and possibly the world with around 20 million visitors per year and still rising. Iguazu Falls – definitely South America’s most famous waterfall with around 750,000 visitors per year. Victoria Falls – Africa’s most famous waterfall I think gets around 400,000 visitors per year. Yosemite Falls – Yosemite Valley’s crown jewel is seen by nearly 3 million visitors per year. Multnomah Falls – the prime waterfall in the Columbia River Gorge gets nearly 2 million visitors per year. Lower Falls – Yellowstone National Park’s iconic attraction gets well over 2 million visitors a year. Snoqualmie Falls – Washington’s most famous waterfall gets around 1.5 million visitors a year. Of course in addition to the number of visitors, you could also make a case for waterfalls that get lots of publicity but perhaps not as much visitation as the waterfalls mentioned above. Such waterfalls that fall into this category include Havasu Falls, Angel Falls, Kaieteur Falls, etc. Of course, quantifying how much publicity a waterfall gets is difficult since I don’t think people keep track of these things. In any case, other candidates that might fall into this category can be found on our Top 10 Best Waterfalls of the World List. Can’t find your question nor an answer to your question? Fill out the form below and see if the waterfalling community can help you out!